Download Salahe font for free. Salahe is a font / typeface offered for free. please note that if the license offered here is non-commercial you have to obtain a commercial use license / permit from the original author. 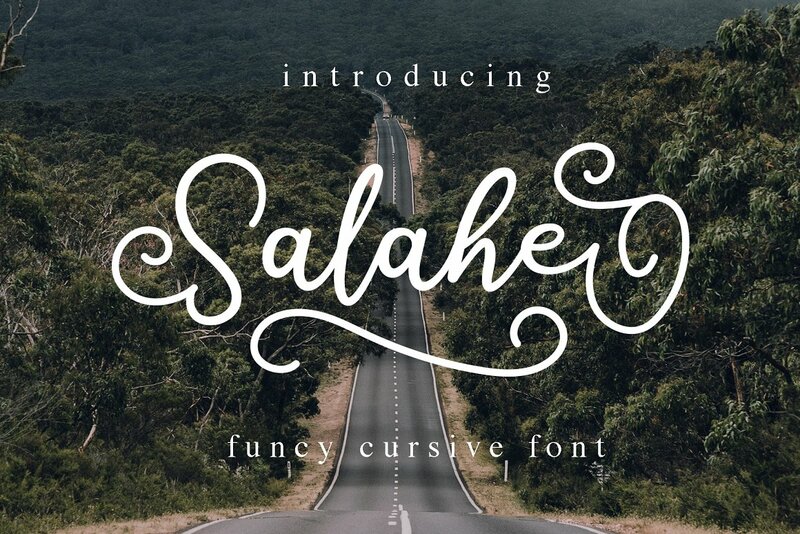 Salahe – a funcy cursive font is a handwritten script font with a clear and sweet style, this font is great for your next creative projects such as bouncy lettering set for envelopes, logos, typography, branding and greeting cards, printed quotes, invitations, cards, product packaging, headers, logotypes, letterheads, posters, clothing designs, labels, etc. . If the Salahe font is offered under 'commercial use free' or 'creative common' license, feel free to use Salahe font for any purpose.